The Federal Communications Commission’s (FCC) summer reading list just got a lot longer: At last count, about 10.6 million people and organizations weighed in on the agency’s May proposal to roll back rules protecting net neutrality. The FCC is proposing to eliminate the rules that require internet service providers (ISP) to treat all legal internet traffic the same. While independent analysis of the comments is still ongoing, millions of consumers, large internet companies, small technology start-ups, public interest groups, and institutions like libraries urged the FCC not to eliminate the current protections that make free expression and innovation on the internet possible. 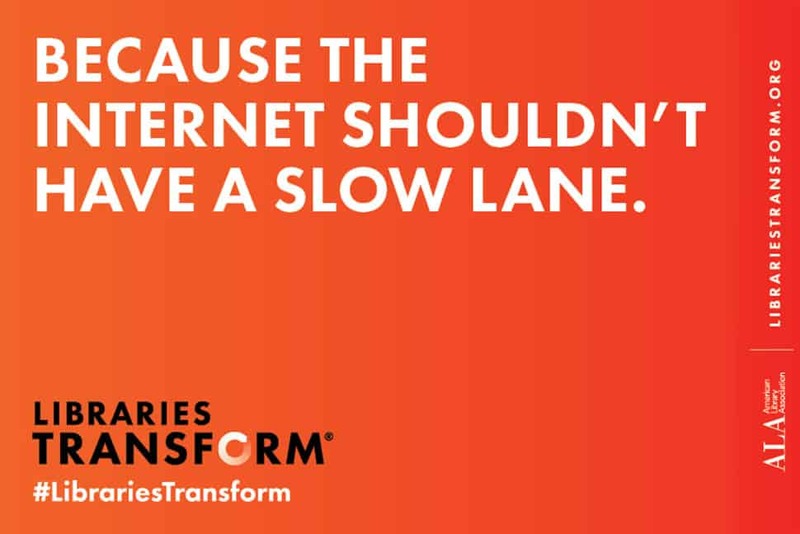 As part of a coordinated Internet Day of Action on July 12, librarians, library supporters, and others called on the FCC to keep the current net neutrality rules and shared their worries that an internet with “slow lanes” would hurt libraries and the communities they serve. 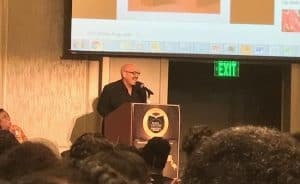 More than 1,640 alerts were sent through ALA’s action center, along with more than 140,000 impressions via Twitter and nearly 85,000 via Facebook for ALA and I Love Libraries social channels. For their part, the country’s largest ISPs called the notion that the internet would be divided into fast lanes and slow lanes “baseless.” AT&T, Verizon, and Comcast, among others, declared support for an open internet but have said the current net neutrality rules are too onerous. One alternative offered in their comments: that the FCC consider relying on another part of federal telecommunications law, a provision of the Telecommunications Act of 1996 called Section 706, to ensure the open internet. The portion of the law these companies cite, however, opens the door for a practice known as “paid prioritization,” where ISPs can charge for faster delivery of content. ISPs claim that bans on paid prioritization actually hurt the development of emerging applications like self-driving cars or remote surgery. But the FCC has tried this avenue before, only to have a federal court throw out the rules in 2014 in Verizon v. FCC. Many of these companies questioned whether the FCC should be regulating behavior of internet service providers at all. Another proposal on what to do about net neutrality offered that companies could make voluntary promises not to block or throttle access to legal content, and if these promises were violated, the Federal Trade Commission (FTC) could levy fines under its authority to police unfair or deceptive corporate practices. This option raises concerns, too. First, the FTC does not have the same technical expertise as the FCC. And second, voluntary commitments that vary from company to company are not clear and not consistent. The FCC must review the comments it has received, take additional public feedback in the form of replies, and then decide how to proceed in its final order. The window for this second round of feedback closes August 16. ALA’s Washington Office is concerned about this timeline. We think people, companies, and institutions must be given the maximum amount of time to sort through the 10 million comments and issues in the record. We hope the FCC will grant additional time for a thoughtful and thorough analysis of the opinions in the docket, and ALA is submitting a request to that effect. As we’ve said all along, we don’t believe changes are necessary to the current net neutrality rules, which are aligned with our principles for an open internet. But if the FCC proceeds on its current path, sometime this fall we’ll find ourselves in a familiar position: The Trump administration’s FCC may repeal current net neutrality rules with no replacement plan on the horizon. Members of Congress have signaled that they intend to legislate. House Republicans have asked the CEOs of ISPs and websites including Facebook, Google, AT&T, and Comcast to appear at a September 7 hearing to determine the future of net neutrality. Democrats are pushing back, asking for more witnesses from start-ups, public interest groups, and citizens. As of now, none of these companies has confirmed whether it will appear at the hearing. But many, including FCC Commissioner Mike O’Rielly, have said that Congress must weigh in. Whether legislation will happen at all, and before the FCC acts, is unclear. ALA, along with its net neutrality allies, will be watching and will be prepared to act if the attention turns to Congress. Talk to your legislators about net neutrality when they’re home in their districts in August. As the issue moves to Capitol Hill, voices from constituents become even more important. File comments in reply to the record, supporting the ALA’s filing and/or sharing your own local examples and concerns. During this second window, anyone can file a comment directly rebutting the ISPs’ arguments, rather than the FCC’s initial proposal as made. You can file directly on the FCC’s site, using the “Express” comment form. Under “Proceeding,” enter the number 17-108, fill in the required fields, and enter your comments. We invite state library associations and state library agencies to consider filing at the FCC. 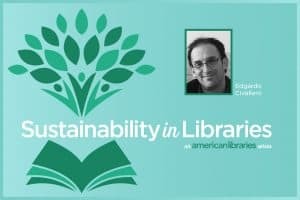 As part of our initial comments, ALA was joined by the Chief Officers of State Library Agencies and the American Association of Law Libraries, and we believe it’s important to show how net neutrality impacts all libraries across the United States. ELLEN SATTERWHITE is a fellow of the ALA Office for Information Technology Policy and vice president with the Glen Echo Group in Washington, D.C.